Aging process affects the skin in an adverse manner. It is a constant decline that can be stopped with the right treatments. For people looking to avoid abrasive treatments, green peels are an excellent solution. They can help correct a number of skin conditions. It is ideal for people looking to avoid surgical and abrasive treatments. A Green Peel is a mixture of crushed herbs that pack a punch of enzymes, vitamins and minerals that are combined with chemicals that help the skin glow. These are a lot more natural than many other similar options. The herbs may differ for different conditions being treated to ensure that the best results are obtained. How Green Peel Treatment is performed? The customized mixture is applied on to the face directly. The practitioner carefully and gently massages the mixture into the skin for a few minutes. The peel is left in place for about twenty minutes to allow the enzymes and herbs seep into the skin pores. The peel is removed and the face is cleansed after 20 minutes. A neutralizer is applied to the skin to stop any active peeling process. Follow the following instructions to ensure you recover quickly, safely and uneventfully. Do use a moisturizer to ensure that the skin does not get overly dry. The results are pretty impressive and the treatment is able to correct the above-mentioned skin conditions. For the most part, a single treatment is enough, though in some cases multiple sessions may be needed. Each session is performed after a break of a few weeks for the best results without any complications or side effects. It is a virtually non-invasive treatment. Enzymes present in the peel help rehydrate the skin. It is safe for all types of skin, especially sensitive skin. No downtime is required and recovery is also quick. The treatment gives instant and lasting results. Is it painful? Green peels do not cause any pain or discomfort. The most discomfort they cause is a mild heating sensation during the treatment and possible drying of the skin. These can be easily countered with routine maintenance of the skin. Is there any downtime? There is no downtime after the treatment as well which makes it perfect. 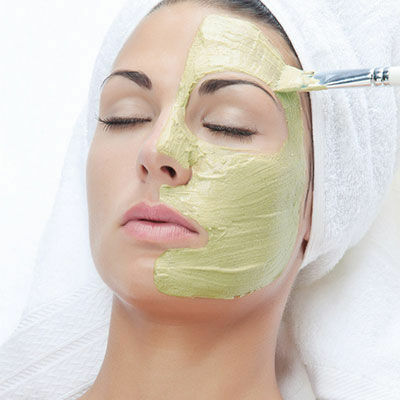 Owing to its safe nature and quick results, more and more people are seeking Green Peels Treatment in Sharjah and Dubai. Are there any side effects? These peels consist of mostly natural products and therefore there are no noticeable side effects. The maximum green peels can cause is that you may feel a burning sensation on the treated areas. But this is temporary and can be easily countered by applying cold compresses. To learn more about Green peels treatment in Dubai or for scheduling a procedure, visit us at Laser Skin Care. Alternatively, you can sign up for a free online consultation by filling in the form given below. Almost every other clinic in the UAE is offering Green Peels in Abu Dhabi and Dubai, but you must opt for the one with expert practitioners with several years of experience in the field. I have extremely sensitive skin, so getting any strong melasma treatment was not possible for me. Katrina Valente of Laser Skin Care used green peels to treat the unsightly brownish patches on my cheek bones. I am extremely satisfied with the results of treatment and strongly recommend Katrina Valente to people with sensitive skin. You can contact her with confidence for any skincare treatment. I recently got green peels for tightening my slightly saggy skin and I am extremely happy with the results. Though I had to undergo six sessions before I got desired results, the time and money spent really worth it. If you also believe your skin has lost its elasticity and has started to sag, contact Katrina Valente today and get either of chemical peels and green peels, depending on your skin type, and believe me you will not be disappointed. I had barely noticeable freckles on my forehead but they were frustrating me like anything. Doctors said Laser Resurfacing was not for me coz my freckles were not dark and the treatment could have aggravated the condition. When I discussed my problem with Katrina Valente, she asked me to get green peels. I opted for the procedure and after getting 5 treatments my freckles are completely gone. I highly recommend Katrina Valente for all sorts of hyper-pigmentation problems. You Don't want to Miss Our Offer on Green Peels . Fill in The Form To Avail Our Special Offer For You!